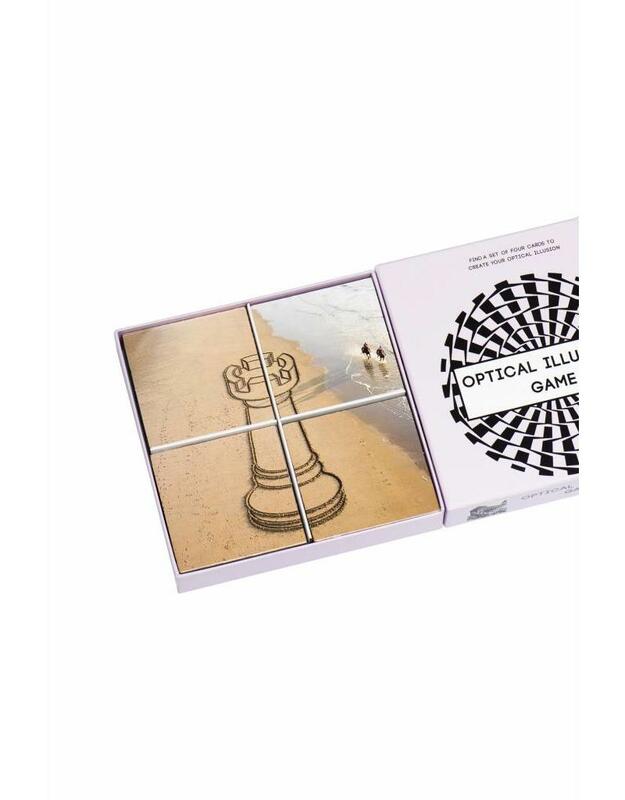 Optical Illusions Game is a memory game and puzzle in one! The goal is to collect four cards that form one optical illusion. 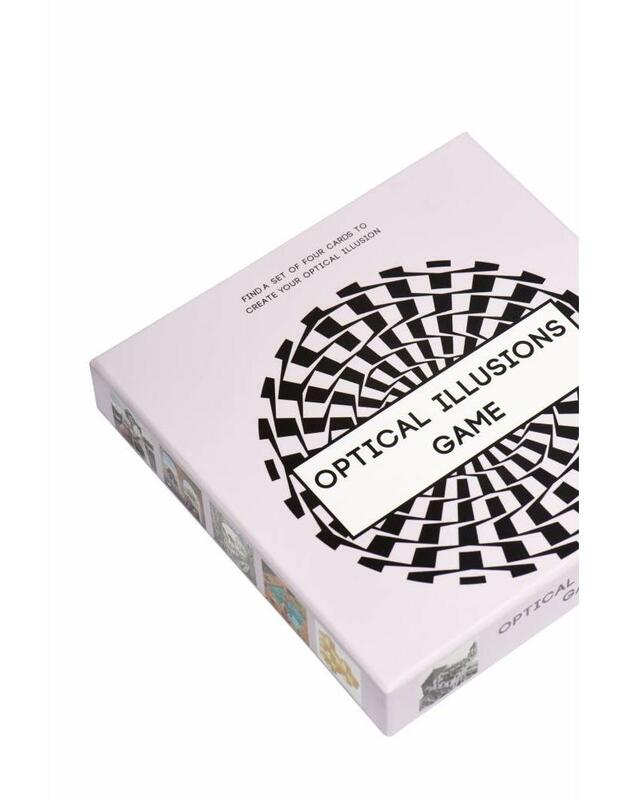 The player who collects the most optical illusions wins the game. 1. 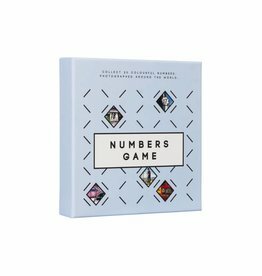 Instead of a set of two the player has to find a set of four. 2. When the set is completed, the player has to puzzle the four cards into one image. 3. 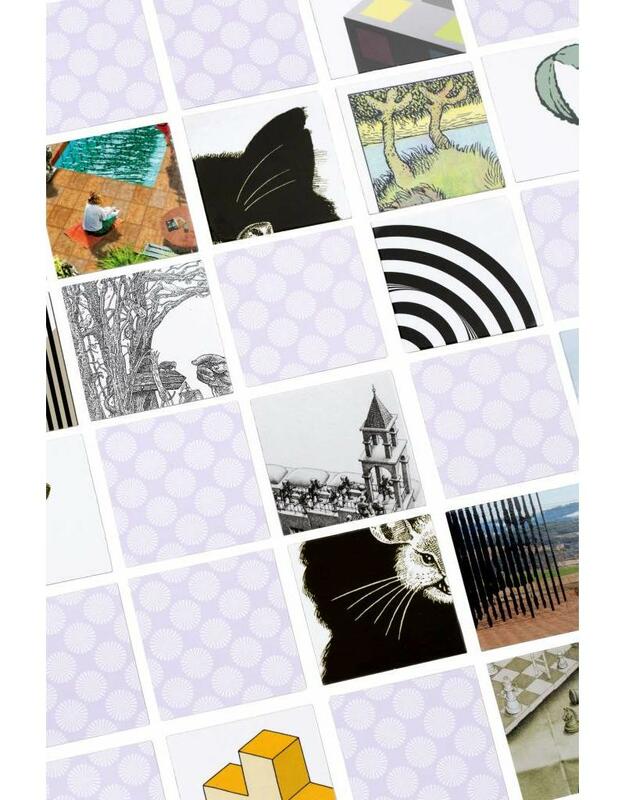 Presto: the four cards form an image of an optical illusion to discover and marvel at. well as a brochure in which the illusions are shown and briefly explained. Paul M. Baars is a designer, producer of design products and author living in Amsterdam. 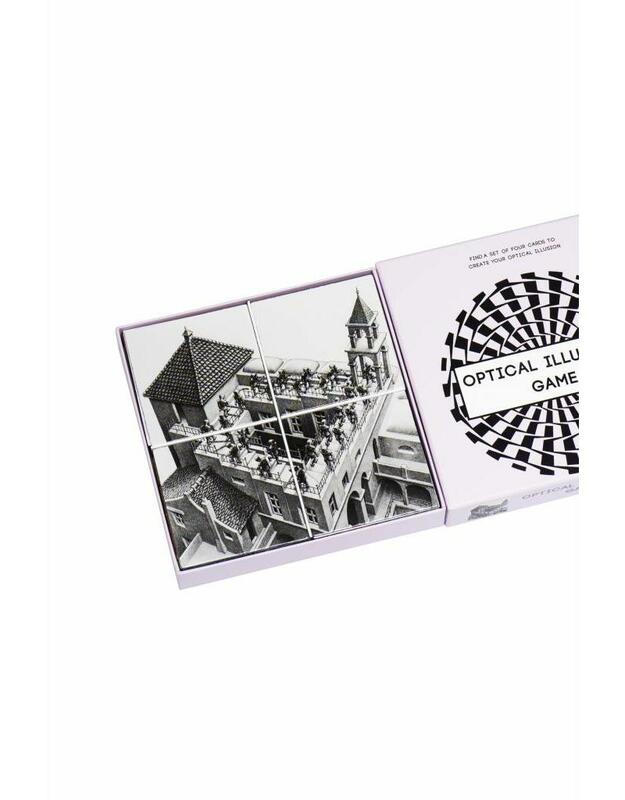 He wrote many books about optical illusions and street photography.